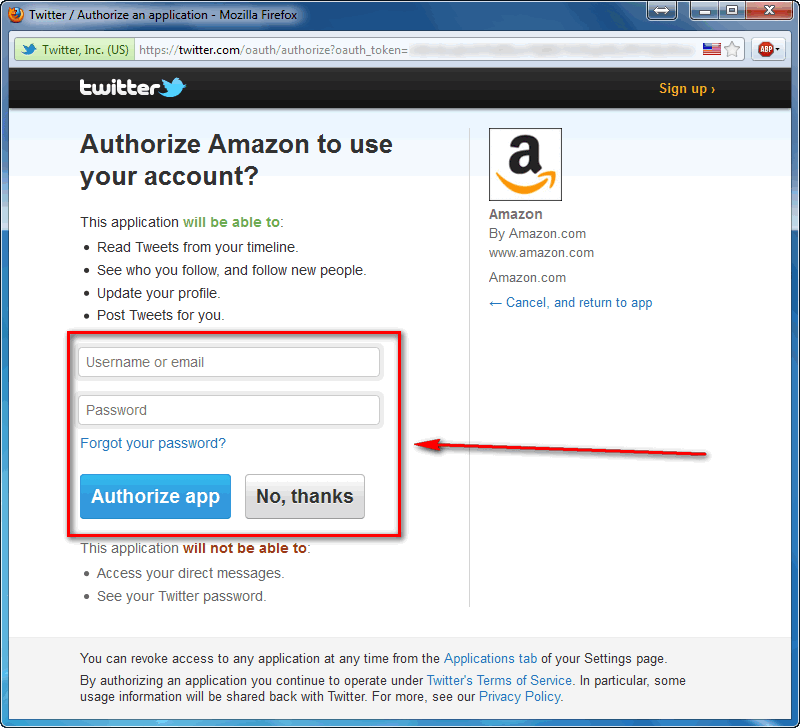 Allow Amazon’s Twitter app access to your Twitter account. 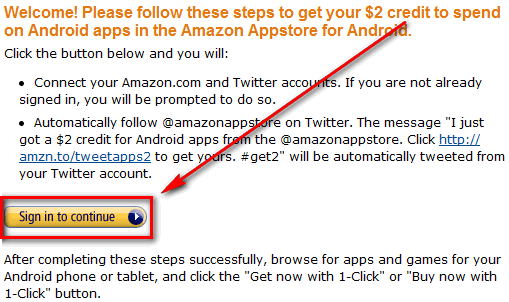 If you prefer, after you take advantage of this offer, you can manually unfollow @amazonappstore, delete the promotional tweet, and revoke Amazon’s Twitter app’s access to your account. If you see a message like the one shown in the above screenshot, congratulations! 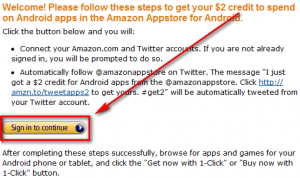 You now have a $2 Amazon Appstore credit applied to your Amazon account. 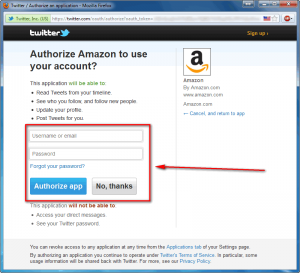 To use the credit, simply purchase an app from Amazon Appstore on your device. As you make purchases, the balance will be taken from your $2 credit until the whole credit is used up. If you receive any sort of error and don’t see the message shown above, simply refresh the page and try again. Last but not the least, take note this promotion is only available to people living in the USA. Also take note that if you don’t use the $2 credit, it will expire December 15, 2011, at 11:59 PM PST.